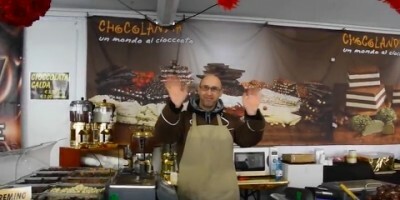 The Artisan Chocolate Fair is an annual event which takes place in February in Florence. This year, the event takes place in Piazza SS. Annunziata from February 10th- February 19th and it is open from 10 AM to 10 PM. This 10 day event is filled with vendors selling hot chocolate, truffles, chocolate covered waffle sticks, chocolate liquor, spreads and so much more!